WAT Topic: Right to Information (RTI) Act should be applicable to Political Parties and Media. 15 mins, can write on both sides of the A4 Page (given by them). After WAT, you could get your documents verified. I was the second in my group. 2 panellists took my interview, let’s call them P1 and P2. (both male professors in their early 40s). P1 called my name and I entered the room. I stand near the seat to wait for their permission to be seated. P1: Give me your personal data form. P1: (he scanned the Personal Data form) So Ramraj, tell me about yourself. P1: By looking at your profile, you are good at technical work, then why do you want to do MBA? Me: Told them how MBA will be beneficial for me in long run and how I can contribute more to the company. Till now P2 was observing me, and here P2 asked his 1st Question. P2: So Ramraj you are working in X Company, describe your work profile. Me: Explained my typical day-to-day job and also the proactive measures we take to improve the suppliers. I told them about the Supplier Improvement Project and explained the procedure. P2: What is the procedure for Supplier Rating? Me: Explained the rating procedure and risk associated with the Suppliers. P1: What are the actions taken to improve poor performing suppliers? Me: Once again explained the Supplier Improvement Process (in a different way) and other things related to Supplier Improvement. I work in the Supplier Quality Department. P2: Since you are working in Quality Department, do you know about Six Sigma? Me: I know a little about it, but I did not work on the Six Sigma Project. P2. Which company started the Six Sigma? Me: Sir, Motorola started the Six Sigma (I had won a Six Sigma Quiz recently). P2: Do you know what is Standard Deviation(σ) mean in Six Sigma? Me: σ measures the spread around the mean. P2: What does 6σ mean? Me: Talked about the accuracy level achieved at the 6σ level and told about the ±3σ around the mean. P2: What is the difference between Precision and Accuracy? Me: Accuracy means how accurately you are measuring (how close your values are to the given specifications) and Precision means how repetitively you are measuring close to given specifications. P2: Gave a situation to choose between the two parts. Mean value=60. First Part: Standard Deviation=15, Measured Value=62, Second Part: Standard Deviation=10, Measured Value=68. Which part will you choose and why? P1: Asked me about the growth rate of the Manufacturing Sector. Me: Sir, I do not know about the growth rate of the manufacturing sector but the contribution of manufacturing sector to India’s GDP is 9% (later checked it is 16%). P1: What is the growth rate of Automobile Sector? Me: Sir I do not know about the overall growth rate of Automobile Sector, but I can tell you about the growth rate of my company. Me: Told the growth rate and Q3 results of the Company. P1: And what is the market share? Me: Told him about the market share in the Commercial Vehicles and Passenger Vehicles. P1: Since you are working in Tata Group, do you think that the Nano is not a great success for Tata Motors and what are the reasons behind it? Me: Sir I personally think, we would get more from this project and explained the reasons behind it. P1: Do you think that Nano is a poor product? Me: Sir, Nano is not a poor product. Nano is the best product in its segment and price range and no other companies launched the vehicle at the Initial Prices of Nano. P1: What are your views on Corus Acquisition? Me: Sir I do not know much about the steel sector and I do not know about this acquisition. P1: What about the Tata Daewoo acquisition? Me: Told about the acquisition year. We modified the Tata Daewoo Truck according to the Indian Customers and launched Tata Prima Trucks in the year 2008. Talked about the Tata Tata Prima Truck features like adjustable seats, hand rests, telematics, tachograph, Cruise Control, music system and others. P1: You are acting like a Tata Group salesperson. P1 and P2 both are smiling. Me: Told about a project about the Tata Prima Trucks. P1 asked P2 if he had any more questions, and he said no. P1: Ok Ramraj, We are done. Thank you. Me: Thank you, Sir. Have a nice day. P1: Have a nice day Ramraj. Would you say your work ex helped you fetch this call, since you’re not a 90, 90 guy in 10th and 12th. 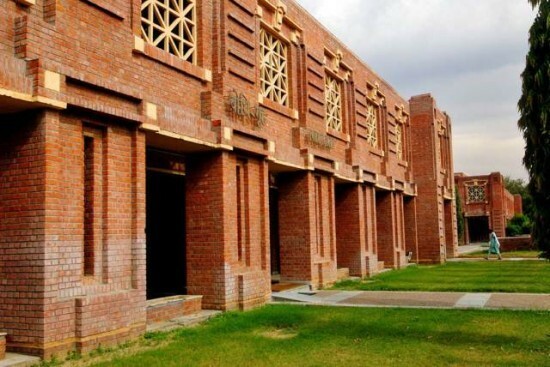 Here’s What Makes The Admission Process At SJMSOM, IIT-B Standout!